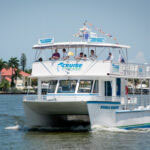 The entire family will enjoy a sightseeing, dolphin watch, or sunset cruise with Pure Florida. Get close to nature with a scavenger hunt, spot endangered species, and explore Naples Bay and Gordon River waterways while on your Florida vacation. 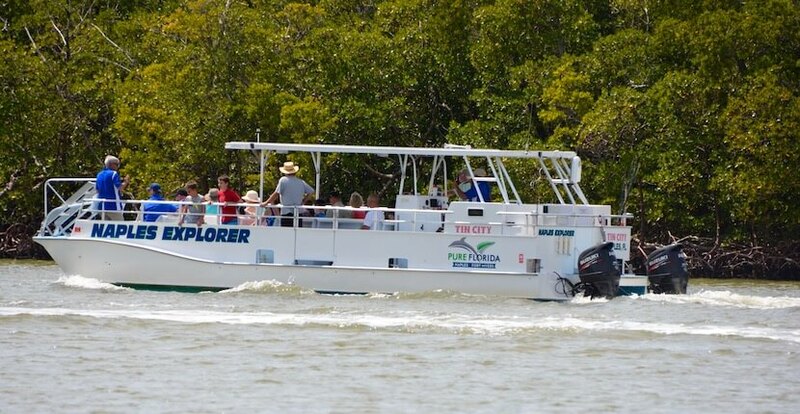 Adults and children alike will be thrilled to watch dolphins play in their natural habitat and perhaps even see manatees, bald eagles, and other wildlife while discovering Gordon River history. You’ll also get a peek at some of Naples’ most luxurious homes in Port Royal from the upper or lower deck of the M/V Double Sunshine. With Pure Florida’s five departures daily it’s easy to fit this family-friendly Naples activity into your holiday schedule. Complimentary admission for kids, when accompanied by a regular adult fare on Saturday’s 10 a.m., narrated Sightseeing Cruise! 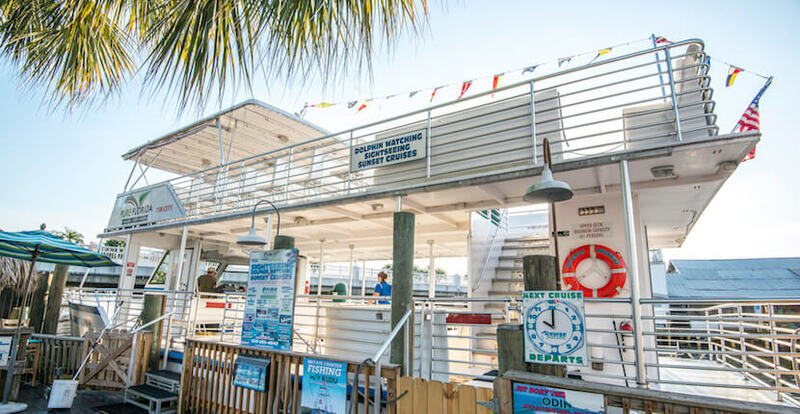 Enjoy the M/V Double Sunshine for 1½ hours of family fun while keeping an eye out for pelicans, bald eagles, dolphins, and other native Florida wildlife. Plus children can take part in the ‘Scavenger Hunt’ to win a prize. Tours are offered daily at 10 a.m., 12 p.m., 2 p.m., 4 p.m. (seasonal). Kids free cruise is Saturday at 10 a.m. only. Read our blog article about our cruise aboard the M.V. Double Sunshine. 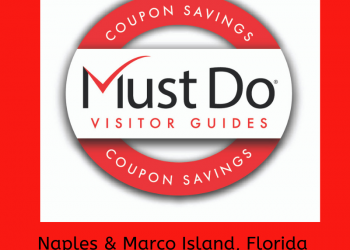 Save money at Pure Florida – save and print COUPONS below! Each evening visitors can take in Naples, Florida’s twinkling waterfront lights aboard a narrated sunset cruise. 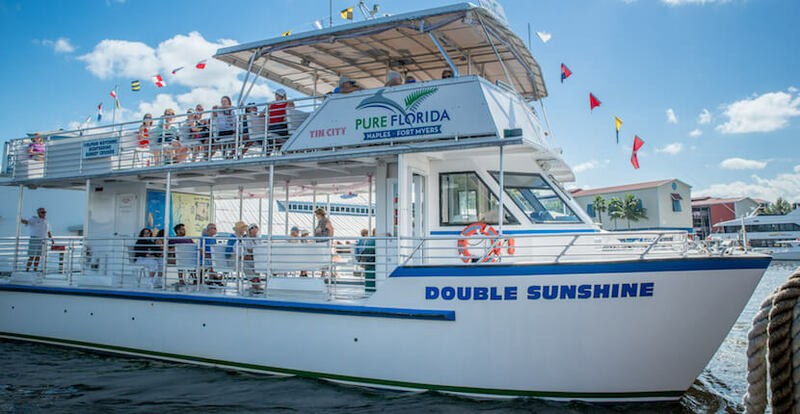 The popular 1 ½ hour sunset sightseeing cruise onboard the M/V Double Sunshine includes the opportunity to see native Florida wildlife, luxurious waterfront mansions, and hear stories of Naples’ colorful history. Musical entertainment and drinks available for purchase. Sunset cruises depart one hour before sunset daily. Call for departure times 239. 995.6959. 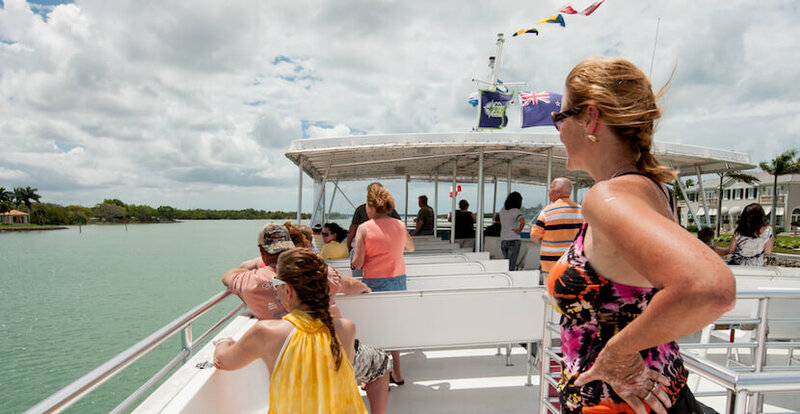 The cruise takes you through Naples Bay and the Gordon River before heading further south, passing Rookery Bay, arriving at a barrier island for shelling and exploring. 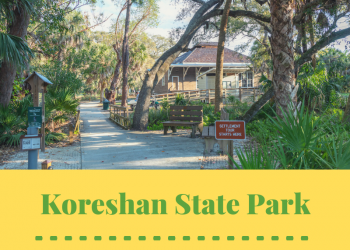 Along the way you may encounter wildlife including manatee, alligator, as well as a variety of birds such as herons, ospreys, and Bald Eagles. Bottlenose dolphins often swim along side or follow behind playing in the wake of the boat. Upon docking at a small beach, you’ll walk along a short path that opens up into a pristine beach, overlooking the blue waters of the Gulf of Mexico. Here you’ll have time to soak up the sun, mosey along the beach, and discover amazing shells. 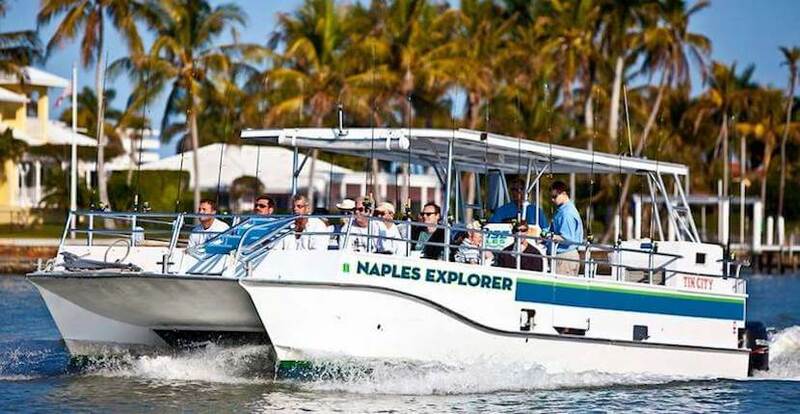 Eco-cruise shelling and dolphin tours are offered daily aboard the M/V Naples Explorer and depart from Tin City at either 9 a.m. or 1 p.m. but vary every other day. Call 239.995.6959 for reservations and specific tour times. 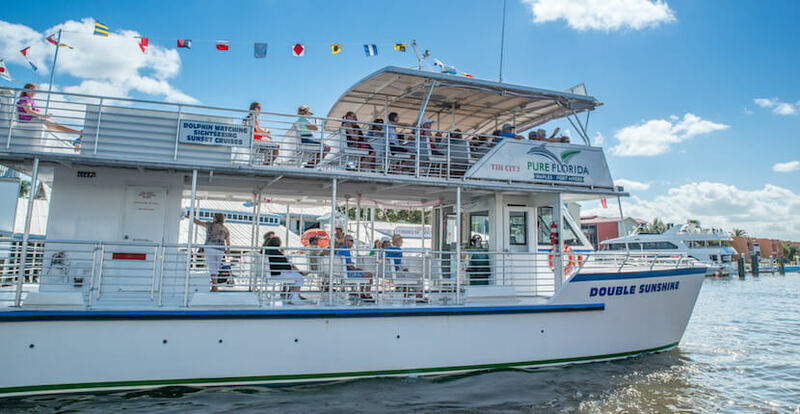 Pure Florida also offers a variety of cruise and dine options via the waterfront restaurants of Tin City. Enjoy a 1.5-hour sightseeing or sunset cruise on board the M/V Double Sunshine and combine the experience with lunch or dinner afterward. Choose from a specialty menu at Riverwalk or Pinchers which are located at Tin City. Cruise and dine cruises are offered daily at 10 a.m., 12 p.m., 2 p.m., 4 p.m. (seasonal), and 1 hour prior to sunset. Sightseeing tours and cruises are offered daily at 10 a.m., 12 p.m., 2 p.m., 4 p.m. (seasonal), and 1 hour prior to sunset. Kids free cruise is Saturday at 10 a.m. only. Book online and view rates. Cruises are only canceled in the event of severe weather. Men’s and Women’s restrooms are available onboard the MV Double Sunshine. Beer, wine, soda, water, and snacks are available for purchase from the cash bar. Outside food and alcohol are not allowed. 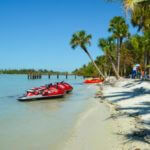 Pure Florida also offers Jet Ski rentals and tours, boat rentals, fishing charters, and the area’s newest attraction, Jet Boat Odin. 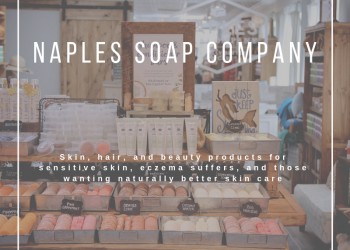 Pure Florida is located at historic Tin City in downtown Naples, Florida. Their office is next to the covered parking lot in front of the Riverwalk Restaurant. Present this coupon to receive $5.00 off per couple on a Pure Florida sightseeing or sunset cruise. See vendor for details. Restrictions apply. 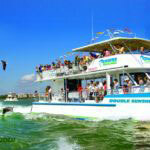 Present this coupon to receive $5.00 off per couple on a Pure Florida Eco-Shelling Dolphin Tour. See vendor for details. Restrictions apply. 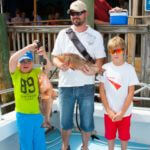 Present this coupon to receive $10.00 off per couple on a Pure Florida guided deep-sea or calm bay fishing trip. See vendor for details. Restrictions apply. Present this coupon to receive $5.00 off per couple on a Pure Florida's Jet Boat Thrill Ride on Jet Boat 'Odin'. See vendor for details. Restrictions apply.